When purchasing a modern car, buyers demand a lot. They want good value, decent equipment levels and good fuel efficiency for a start. On top of that, people want a good sized boot and a spacious cabin, as well as effective crumple zones to help towards a good safety rating. To improve interior space and safety, the exterior dimensions of a car have to grow, and so modern cars tend to be larger than older ones. Take the modern MINI, for example. It’s 3723mm long and 1683mm wide, compared to 3048mm long and 1397mm wide for the original BMC version, and yet the modern MINI is far from a big car. Unfortunately, while modern cars have grown in width, roads and garages have not, meaning many buyers find their cars unwieldy in small city streets and troublesome to park – so we’ve filtered through the data and found the ten narrowest cars on sale today. A modernised re-imagination of the old 500, the new model may be small but it’s not quite is tiny as the original, which was just 1320mm wide. The current generation has proven popular – it’s reasonably priced, it’s stylish and it offers low running costs. It's 1627mm wide. Fundamentally the same as the Citroen C1 and Peugeot 107, the Aygo uses the same engine and chassis and is built in the same factory as the two french models. All three were recently given an overhaul for 2012, which you can read about here. Of the three, the Aygo is the ‘slimmest,’ at 1615mm wide. This trio of cars hails from Japan, where a small size can mean much reduced tax bills. ‘Kei’ cars must be less than 3400mm long and 1480mm wide, they must produce a maximum of 63bhp, and must have an engine capacity of below 661cc. If these criteria are met then they fall into a ‘light car’ taxation class, saving buyers a substantial amount. The European versions of Japanese Kei cars, like the Pixo, Alto and Jimny, are often different to their Japanese counterparts, with larger engines and slightly increased dimensions. All three of these European spec cars are an identical 1600mm wide. The Spark succeeds the Matiz, and improves on it in every way. It’s cleverly packaged, with a good amount of interior space, and it’s inexpensive to buy. Luckily it’s almost as small as the Matiz, so even if you’ve got a miniscule drive or a tiny little garage, it should still fit, with a width of 1597mm. Identical in width, the i10 and Picanto come from Korea and impress with their strong build quality, practical interiors and fuel efficient engines. Not only that, they’re very easy to drive in town and represent extraordinary value for money. Both the Picanto and the i10 are 1595mm wide. The current generation Panda is due to be replaced this year with a much more stylish design, which looks to be similar in size to this model. Cheap to buy, cheap to run and more practical than you’d imagine, the Panda is a sensible choice. It's 1578mm wide. The Caterham Seven is offered in numerous forms, including the ludicrously fast CSR 260. It’s a modern version of the Lotus Seven, a car that first appeared in the late 1950s. Despite its high performance, the Seven is extremely small, with a width of just 1570mm. You only need to look at the Smart to know that it’s going to appear in this list. It’s shorter than some cars are wide, meaning it can be parked end on to the kerb (although that might land you in trouble with the parking attendants). Not only is it short, but it’s narrow at 1559mm, and so it places in third. Like the Lotus Seven, the Morgan Plus4 has its roots in a bygone era, when all cars were smaller and when the roads and garages didn’t need to be huge to accommodate them. Hand-built and hand-trimmed, the Morgan manage to deliver old fashioned appeal in spades, despite its width of 1550mm. 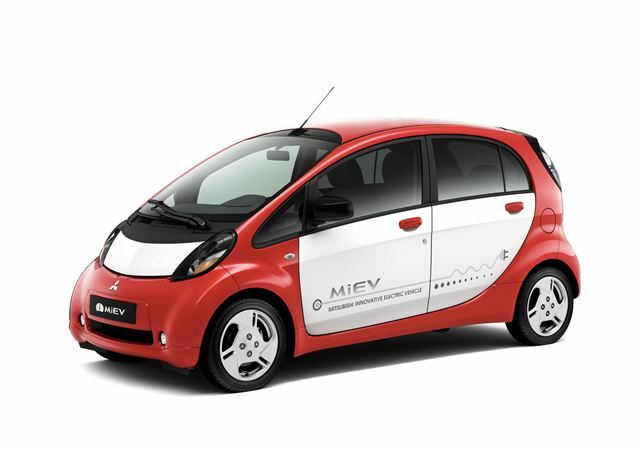 The Mitsubishi i-MiEV is an electric version of a Japanese kei car called, simply, the ‘i.’ It’s normally powered by a 660cc petrol engine, but Mitsubishi also fits an electric motor to make this zero-emissions version. The Peugeot iOn and Citroen C-Zero are rebadged versions of the same car. Thanks to its kei car roots, the i-MiEV and its siblings offer four seats, but condense them into a package that’s 1475mm wide and 3475mm long. Whether you need a supremely narrow car, a budget automatic, or a budget performance model, visit our specs section for in depth car specifications and more in-depth data bank features. Modern built house garages are a total disgrace and insult. They are too small and disgustingly uncomfortable to use. MPs who all get a free mortgage on a second home paid for by the state (if their constituency is outside London) and who are statistically 4x more likely to be a multi property owning landlord continue to cram the rest of us into small boxes so that they can profit from their property portfolios and afford to live in spacious comfort. MPs have no interest in opening up and loosening building permissions to enable us to start to live comfortably on the 85% green land that the UK is. They don't care that we are squeezing ourselves into the box sized homes they are enabling the creation of to support their own gain.